Donald Snider has been named interim executive director of the Detroit Micro-Enterprise Fund, a company that provides microloans to new and established small businesses in cities throughout southeast Michigan. 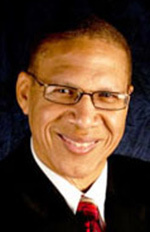 Snider, of Canton, is an executive board member and former senior vice president of the Michigan Economic Development Corp. and former president and CEO of Metro Business Connect LLC, a consulting firm that provides access to capital and comprehensive services for growing small businesses and start-ups. Throughout his extensive career, Snider has been a consultant for organizations such as the Michigan Department of Transportation, Detroit Renewable Energy LLC, and Main Street Bank in Bingham Farms. Snider was also owner and CEO for Ann Arbor-based Walden Foods and Detroit-based Paper-Plas Converting Inc.
Snider earned his Bachelor of Arts in biology from Wayne State and his Master of Arts in management and supervision from Central Michigan University.